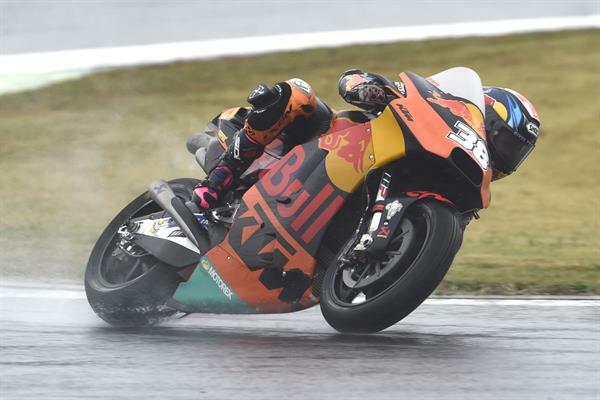 The Red Bull KTM Factory Racing Team had never before been on Japanese soil but the team managed to brilliantly qualify both bikes through Q1 directly into Q2 for the first time to be 7th and 8th on the grid as the lights went green. 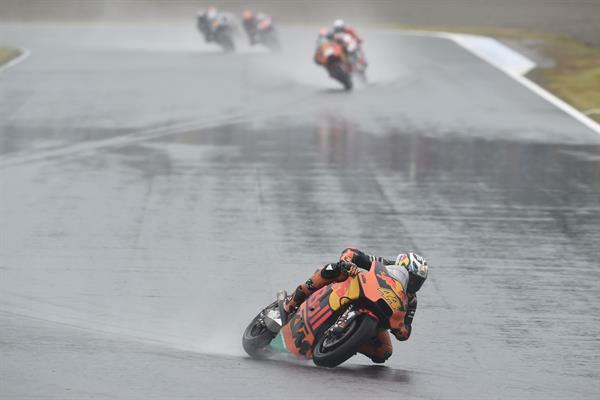 Through enormous plumes of spray both Bradley Smith and Pol Espargaro made great starts. 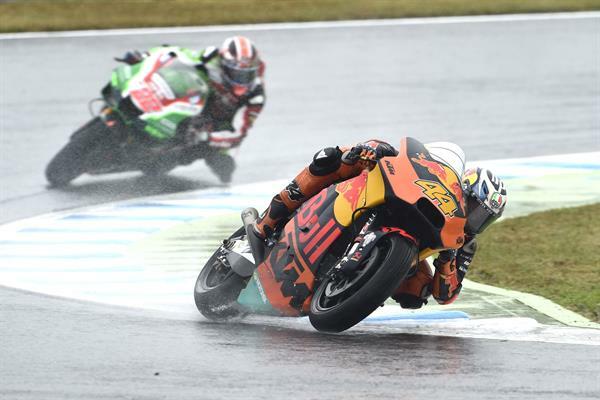 The pace was frenetic at the front but Espargaro cut through the rain on his KTM RC16 to be easily inside the team’s regular target of the top 15 to cross the line in 11th, just outside the top 10. 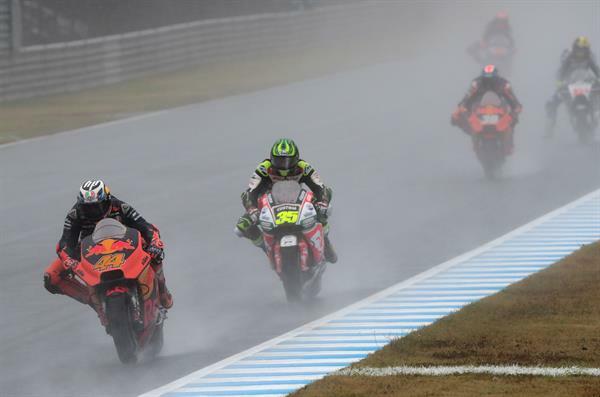 Bradley Smith played it safe in the first few laps but saw the flag in 17th place. 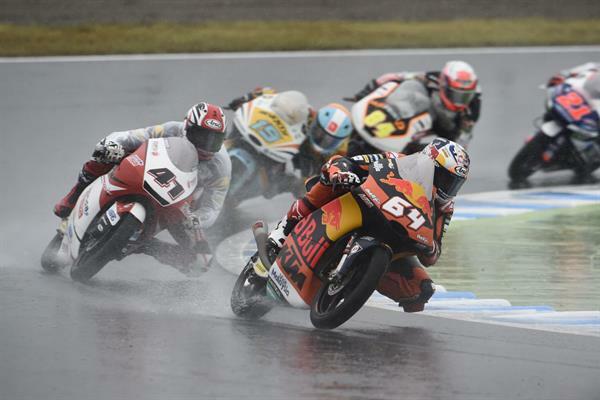 Miguel Oliveira fought through the hardest conditions of the 2017 season to bring his KTM Moto2 motorcycle home in seventh position after holding a top three place early on in the race while team mate Brad Binder had another cracking start to make up 12 places from his 24th starting position. 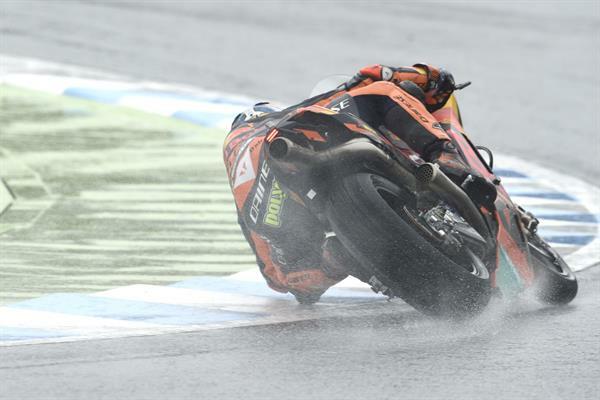 Unfortunately Binder had a slow speed tumble and was unable to restart. 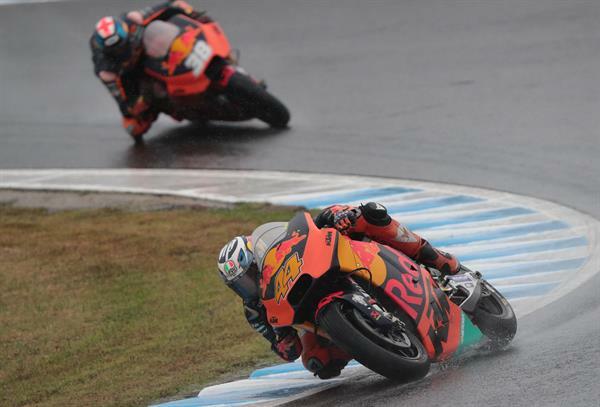 Next weekend’s Phillip Island Grand Prix should suit the new for 2017 KTM so the Red Bull Ajo team looks forward to that as they travel south from Japan. 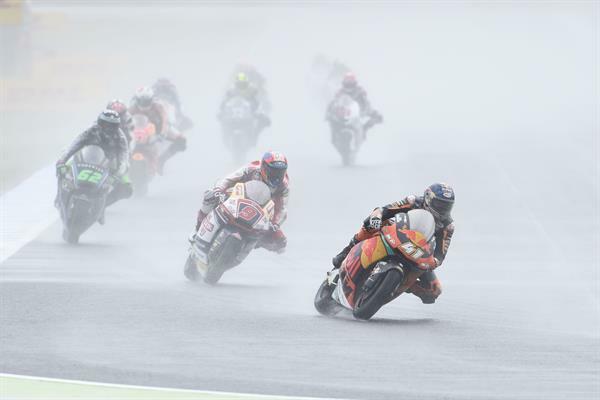 Oliveira: "It was a difficult race, with lots of water on track. I was not at all comfortable, especially with the rear tyre that didn’t give me a good enough feeling to be able to push more. I was close to the Top 5, but when I understood that I couldn’t go faster I tried to control the race to the best of my ability to finish. 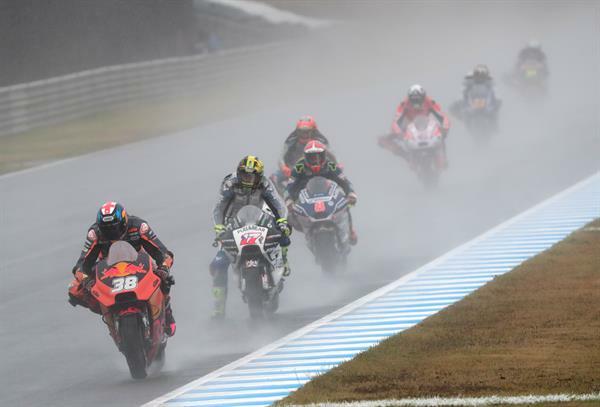 Seventh is not the result we had hoped for, but the positive thing is that we finished and now it is time to look ahead to Phillip Island – a circuit that I like and that I think it suits our bike quite well. I'm sure we'll arrive there strong." Binder: "It's been quite a difficult weekend for me. I struggled a lot in wet conditions. I wasn’t able to have a session in which I felt comfortable. I didn’t go too fast, but in the race I gave 110% and I managed to get up to 12th in just five or six laps, despite starting from 24th. I was trying hard and unfortunately I crashed. In the end, I gave everything I had and I never stopped learning; next time I find myself in this situation I will have learned the lesson from this race." 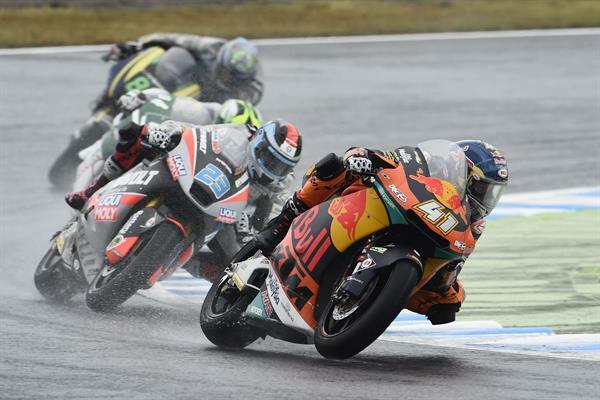 The Red Bull KTM Ajo team made it a hat-trick of podiums at Motegi as Niccolo Antonelli brilliantly returned to spray the champagne in Moto3. After recovering from an injury in late June and missing some subsequent races, his third position was all the more sweet. 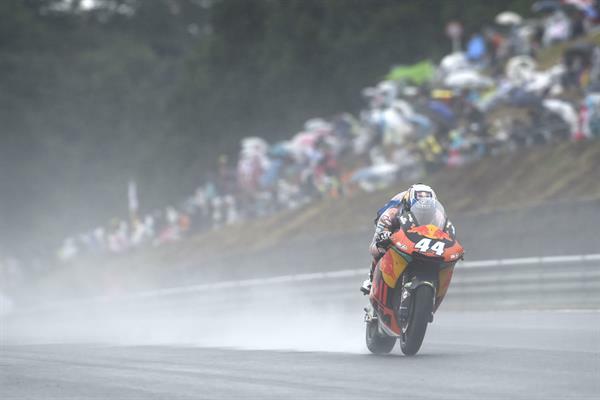 He started the race from the front row and led the early laps proving his strength back on the KTM RC250 GP bike. 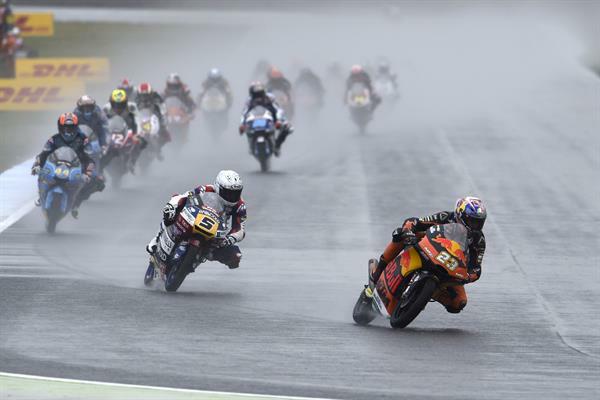 Team mate Bo Bendsneyder backed up his team mate with a ninth over the line for his fifth top ten of the year. 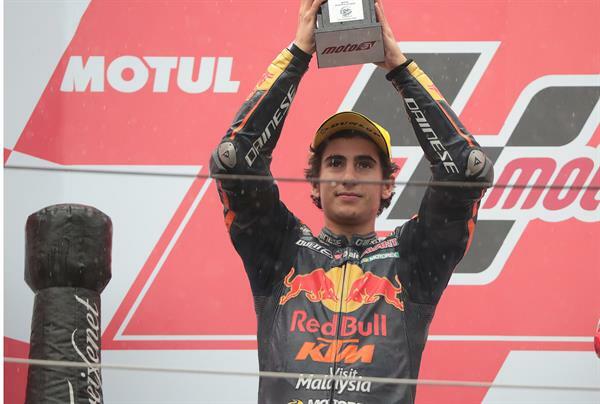 Antonelli: "It's amazing to have placed on the podium this Sunday in Japan. 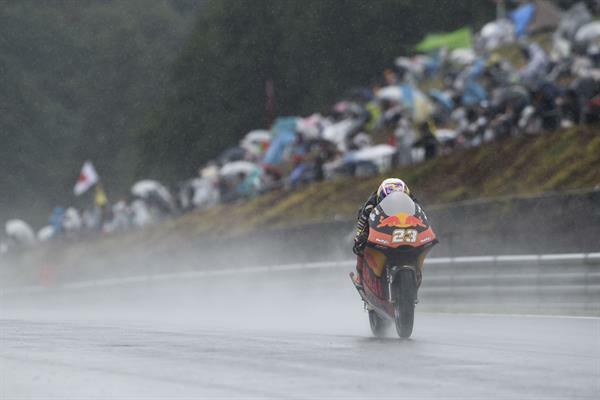 I knew we could go fast in the wet at this circuit, because we have improved a lot, but I didn’t expect it. We have had difficulties in rainy conditions this year, although here I have had a good feeling. 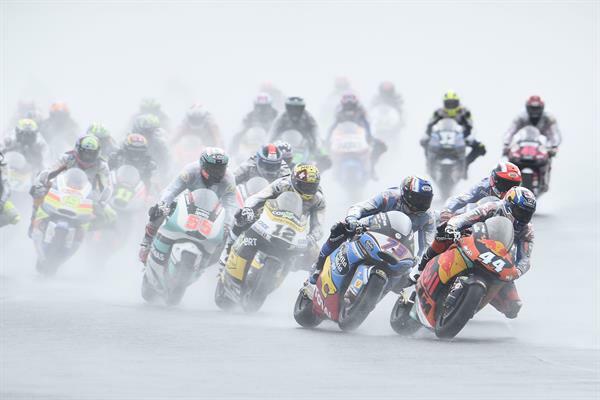 In the race I tried to catch Romano (Fenati), since I had nothing to lose, but the bike was slidding a lot and it was impossible to get to him. In the end, finishing second is like a win for me and a prize for the whole team, whom I want to thank for their work." 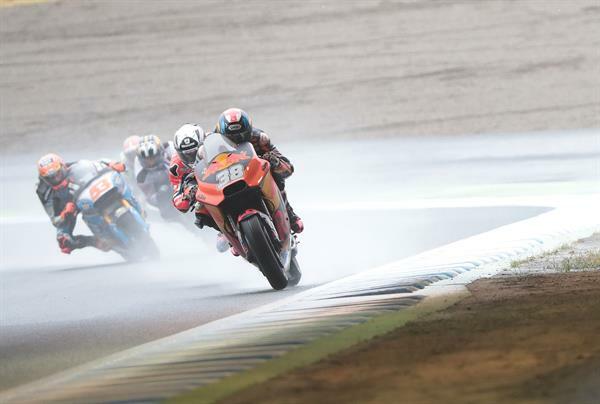 Aki Ajo (Team Manager Moto3): "I am very happy to have achieved this podium in Moto3, because this year is a very tough one for us in the lower cylinder class. We had already seen that we were improving and taking steps forward over the last few races, which was good for our confidence and motivation. 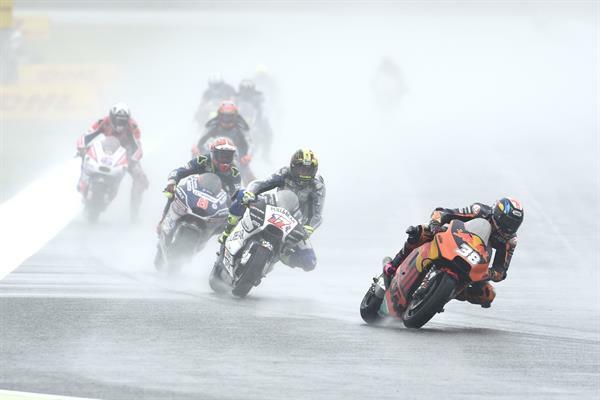 I'm sure Niccolo (Antonelli) and Bo (Bendsneyder) are ready to fight for the top positions at the final races."